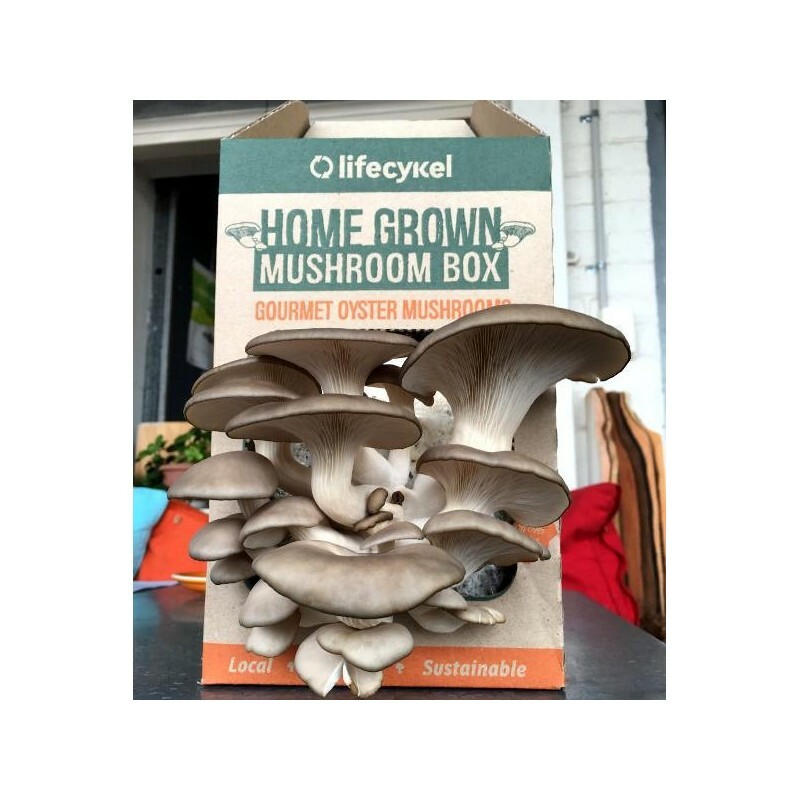 This DIY mushroom grow kit from Life Cykle utilises coffee grounds to cultivate your own gourmet Oyster mushrooms. The original super food, Oyster mushrooms are packed with protein, calcium, magnesium, selenium and a variety of vitamins. Expect your first mushrooms in 10-16 days. Just spray, eat, repeat! Your mushrooms are grown from coffee grounds that were diverted from landfill. Coffee grounds in landfill are in an anaerobic environment, where they create a greenhouse gas in the form of methane. By growing in and later composting the coffee grounds, you are reducing the amount of methane in the atmosphere. Harvest up to three times. From box to plate in minutes. Each box grows 300-500 grams of Oyster mushrooms. 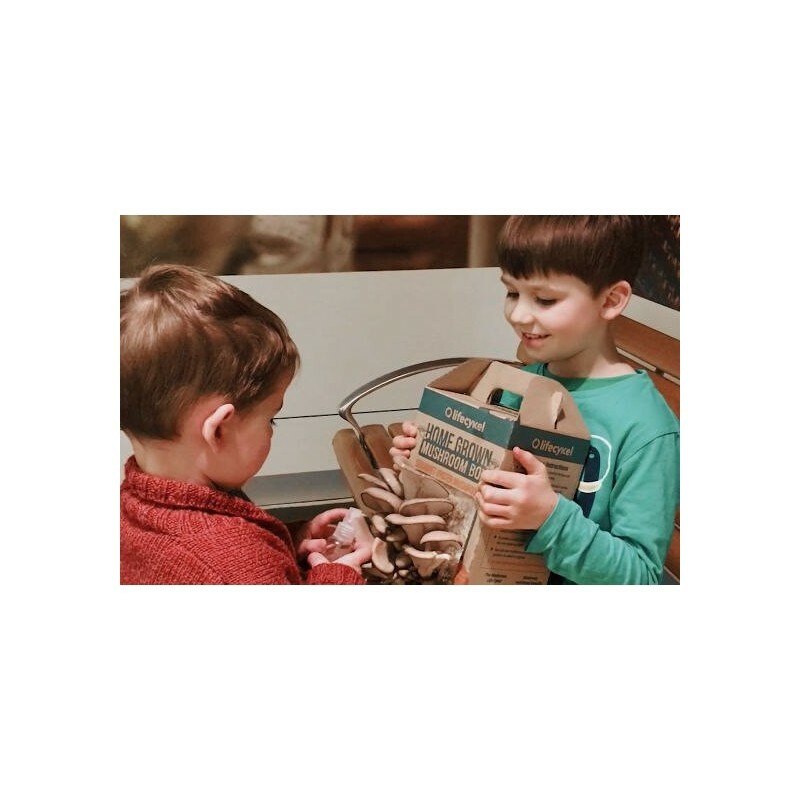 Connect with your food through this simplfied hands on experience. Compost the substrate at end of life and recycle the cardboard box. We are not shipping this product Internationally due to biosecurity rules. 1.8kg kit. 17cm x 20cm x 12.5cm. Cardboard box with bag of mushroom substrate, spray bottle included.